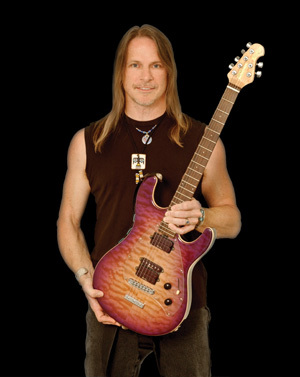 Voted Best Overall guitarist in Guitar Player magazine 5 years in a row, Steve Morse has been recognized as one of the best musicians of his time. Leader of the Dixie Dregs and the Steve Morse Band, Steve has forged an illustrious career at the forefront of progressive instrumental music. With a career that spans more than 30 years, Steve has recorded and played on more than 50 albums. Currently lead guitarist in Deep Purple, Steve is touring the world with one of rocks most legendary bands. Please check out Steve's awe-inspiring guitar playing of "Tumeni Notes" through the audio link located to the right.